When Apple launched its cutting-edge iPhone X smartphone, it also introduced the ‘Face ID’ feature that uses 3D face sensing technology to unlock the device and authenticate mobile purchases and payments with a mere glance. It was rumored that Samsung too was working on a similar feature likely to debut in its next-generation Galaxy flagship phone in 2019. Now, a new report from Patently Apple, suggests that Samsung has been awarded a patent for its 2014 filing of a biometric camera by the U.S. Patent and Trademark Office (USPTO) in late Q2 2018. According to Patently Apple, the biometric camera integrated into a mobile device will feature iris recognition that would be used to scan a user’s iris through a handset’s front-facing camera. 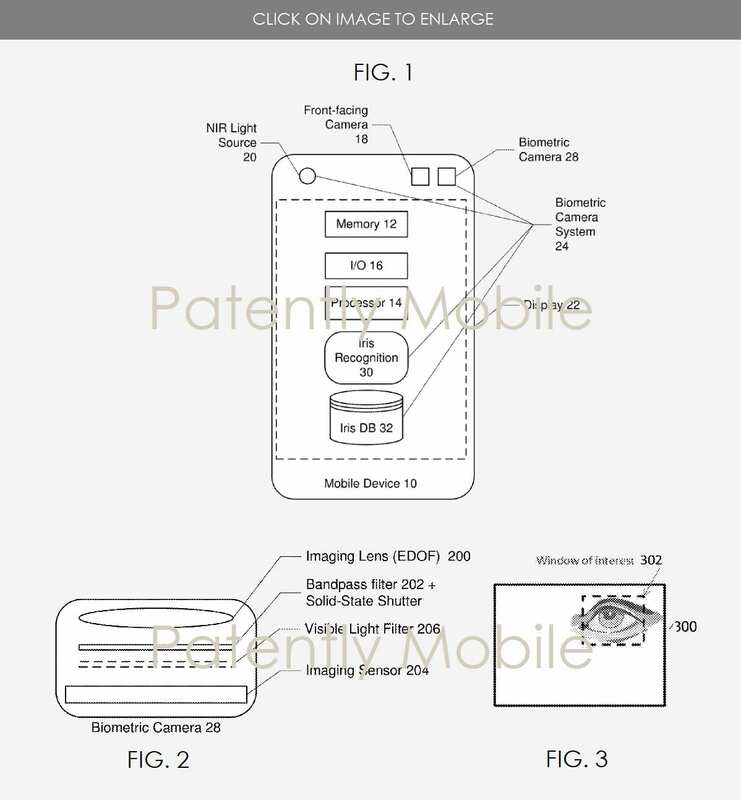 The patent document reveals that the biometric camera system includes a NIR (near infrared) light source on the mobile device when capturing an image to address ambient light challenges. It also includes an extended depth of field (EDOF) lens, a bandpass filter to filter out ambient light, and an imaging sensor to convert an object’s optical image into an electronic signal for processing. Further, it also includes a processor meant to receive video images of a user’s iris from the sensor that attempts to match it with previously registered images stored in an iris database, wherein if a match is found, the user is authenticated. Additionally, the biometric camera could optionally perform functions including “proximity sensing, night-vision camera, 3D time-of-flight sensor, eye position and gaze tracking camera, and structured light for 3D sensing.” Besides, mobile handsets, the biometric technology may also be used for televisions, notebooks or desktop computers, according to the patent. It’s worth noting that not every patent that is granted is converted into a finished commercial product or even a prototype. Although the new patent has just recently been granted by the USPTO to Samsung, it is not clear when Samsung plans to introduce the newly patented biometric system into its future flagship phones.